March 24, 2019, 11:29 p.m.
Jan. 8, 2019, 5:40 a.m.
Werribee is located halfway between Melbourne and Geelong, 32kms south-west of Melbourne’s CBD. According to the ABS Census 2016, 29.7% of occupied private dwellings in Werribee were rented, slightly higher than the Victorian average of 28.7%. 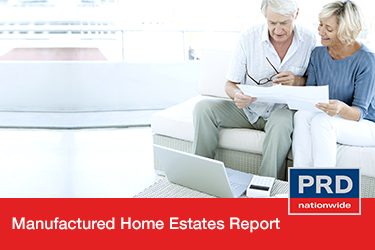 This is good news for investors looking to enter the market. Dec. 3, 2018, 4:51 a.m.
Melbourne Metro house median price experienced a softening of -8.1% from 2017 to 2018, median unit prices softened at a more moderate rate of -2.6%. 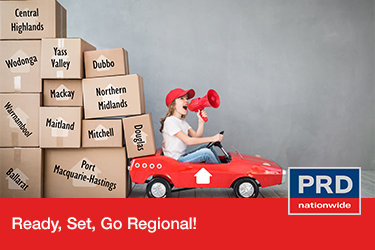 House and unit buyers looking for affordable options should target the north-east and south-east. 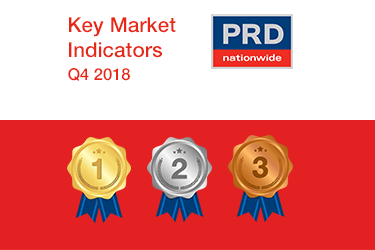 Nov. 21, 2018, 5 a.m.
Victoria (VIC) has proven itself to be a top performer in 2018, earning the most medals in the PRDnationwide Key Market Indicators Q4 2018 Awards, and positioning itself as a market leader in many areas. It’s most notable achievement is in the first home buyer loans category, where VIC took out two medals nationally, a gold award for highest number of first home buyer loans and a silver award for the most improved number of first home buyer loans. Nov. 21, 2018, 4:39 a.m.
As 2018 closes, it is time to celebrate some wins, the most notable of all being positive consumer sentiment and growth in the number of first home buyer loans. The Australian consumer sentiment index recorded 104.3 points in November 2018, which is above the positive mark of 100 index points, and represents a 4.6% growth over the past 12 months. This suggests increasing confidence in the economy, which after a year of federal budgetary and politics changes, is a positive way to end the year. A more confident society will have a higher tendency to spend, which will have a positive multiplier effect on the economy as a whole, be it in the retail sector, hospitality, property, and others. 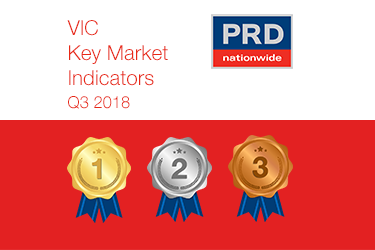 Aug. 27, 2018, 6:51 a.m.
Property prices in regional Victoria (VIC) increased by 6.5% over the past 12 months to the 1st half of 2018, as recorded in the PRDnationwide Australia Economic and Property Report 2018. 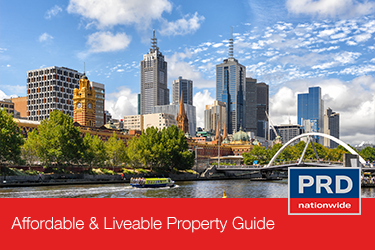 The same report indicated a -1.6% and -0.5% decline in property prices in VIC’s capital city and metro areas respectively. 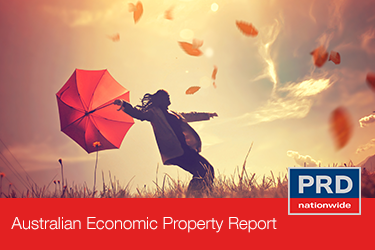 Overall the combination of the above price movements has resulted in positive property price growth. July 23, 2018, 6:53 a.m. 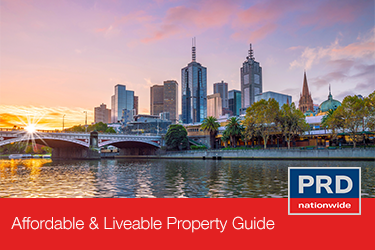 The recent release of PRDnationwide’s ‘2018 Australian Economic and Property Report’ and Capital City ‘Affordable & Liveable Property Guides 1st Half 2018’ signals a significant change in the property market generally and particularly within the housing affordability landscape. 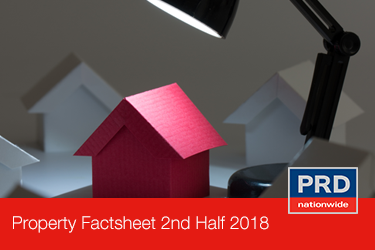 The set of reports provides an overview of the key economic drivers and their impact on the property market, assisting home buyers and investors in making fact based property decisions. July 23, 2018, 5:50 a.m.
July 13, 2018, 12:20 a.m. The Werribee property market is set to perform exceedingly in 2018 and now is the time for keen buyers and sellers to transact in the market. 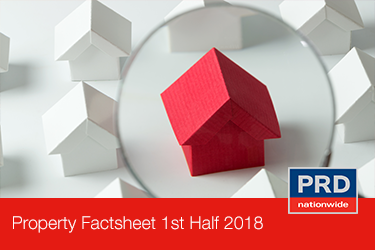 Werribee recorded a median house price of $500,500 and $390,000 for units in Q1 2018, which represents an annual (Q1 2017-Q1 2018) price change of 18.2% and 23.8% respectively.